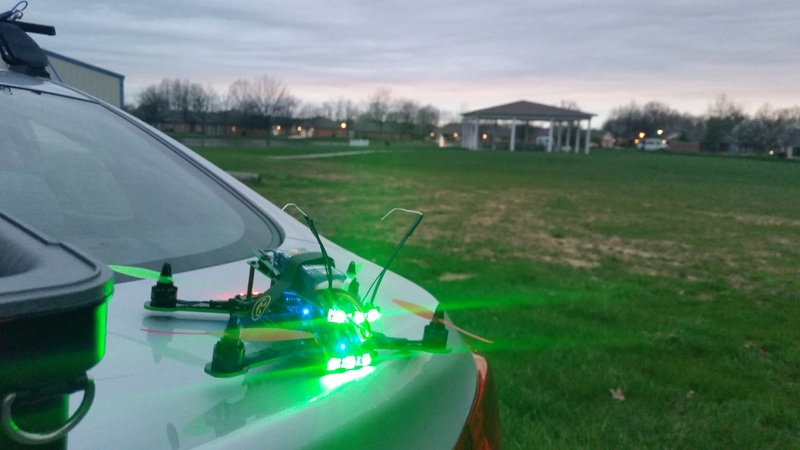 Over the last few days, I’ve been updating my quad, and one thing that I finally did was add LEDs to it. These help so much with orientation, its unbelievably easier to fly the thing. Because each strip is 3 wide, I can see how level the quad is from a distance even when its dark, and with two different colors on the front and back respectively, I can tell whether I’m coming closer or moving further away. 10/10 would highly recommend putting on some LEDs if you are going to be flying LOS at all.